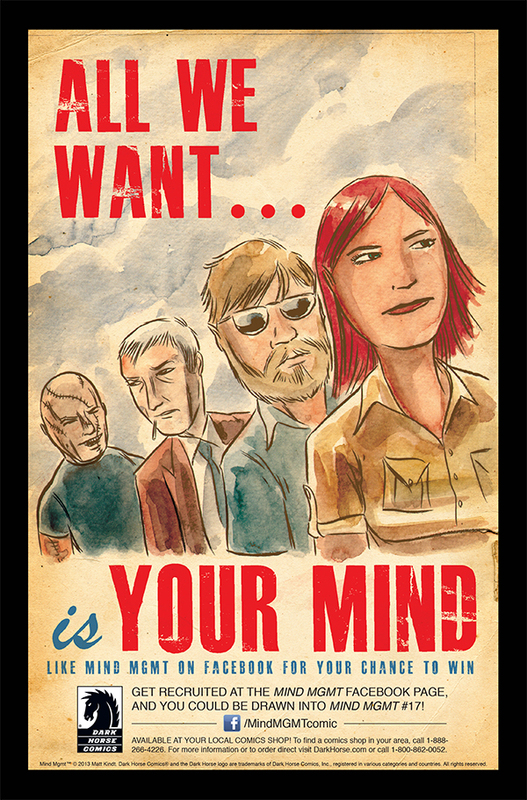 The recent release of MIND MGMT #13 kicked off an all-new arc of this critically acclaimed series, currently in its second year at Dark Horse. To celebrate, Dark Horse and series creator Matt Kindt are offering fans a very special opportunity. For more information, visit www.facebook.com/mindMGMTcomic.